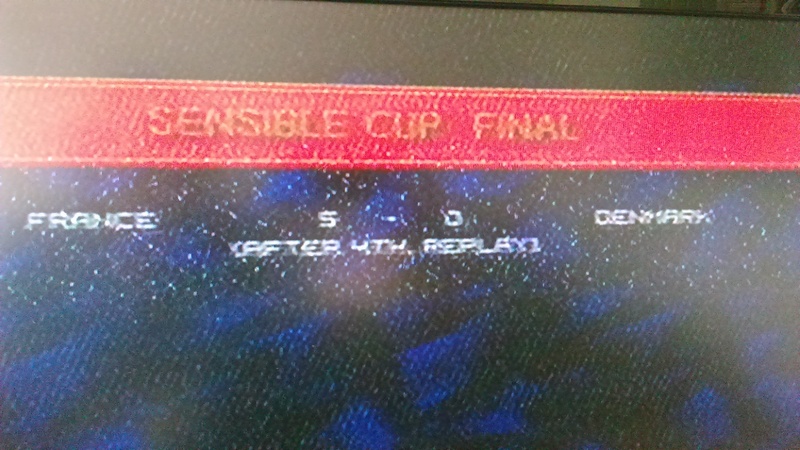 Home › Sega Genesis › Sensible Soccer: European Champions. Sensible Software (1992). Sega Genesis. Football gamewise, the debate of the last 20 years was, “which was better Pro Evo or Fifa?” In the 90s the argument was Sensible Soccer or Fifa, and at the time I was firmly FIFA. Sorry, it is true. I didn’t get the cutseyness of Sensi, I liked the “press A to win mechanics” of Fifa, and I liked the fact I was good at Fifa, and my mates weren’t. So I missed out on this gem at the time. 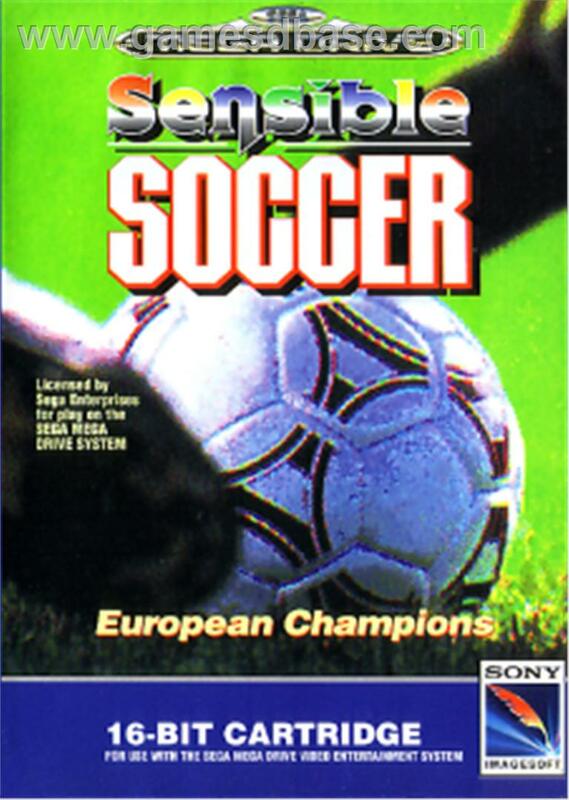 When I bought my Megadrive off eBay with 20 games I was mainly interested in reliving Fifa International, World Cup Italia 90, Super Kick Off and co, but it was Sensible Soccer that caught my attention. I figured, I remember the others, countless hours were spent perfecting the spot to shoot from the 18 yard line to score in any Fifa game, so going to Sensi, with almost no memory of it I was happily surprised. However, playing through 10 or so matches with a mate today we noticed something that Fifa still lacks. The opposition FOUL!? It doesn’t sound like much, but the last Fifa game I bothered with (2010) I did 8 seasons with the mighty Sunderland, and the opposition never once fouled me, got a booking or a red card. In fact, the computer AI never used the slide tackle option! Today, in 10 games, we have had 2 red cards, 1 penalty, and several yellow cards given in our favour. Has Fifa fixed this yet? Am I just so good/bad at Fifa the opposition won’t foul me? Sensi, was a head of its time for me, it is one of the first games I am aware of which had weather that affected your game (not just cosmetic), the editor allowed customisation, and the game plays well. It still plays well, it is easy to pick up, and play and win. But playing with my mate who was apparently a Sensi pro was showing me all the nifty tricks involved in curling your shots, meant that there was some depth to it. The game is unlicensed, so at club level you will be playing as the mighty “Highbury” , “Turin” and the mighty “Manchester” yes Cit’eh fans, that is United, Not you. And like Pro Evo, the player names are changed slightly, but you don’t need to be Poirot to know who these are. Piter Schmiichel, Dinnis Orwin, Merk Hyghes, Lee Sherpe, Iric Centona. The game allows customisation using the fairly simple game editor, so if you really wanted, you could rename them all. By why would you when you can say “ERMAHGERD MERK HYGHES JUST SKEEERD”! International teams allow you to reenact the glorious 1992 European Cup and lead Denmark to victory. Or like us, you can pick the French, and try to overcome the mighty Norse gods. (Took 4 replYs to finally beat them). The gameplay is top notch, it took Fifa up until Fifa98 to make a good game. Remember Sensible Soccer well back in the days. 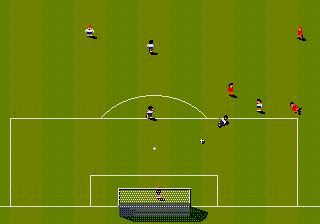 Later versions on the Amiga did include “real” players, teams and so forth. There was a very good manager mode as well, where you could buy and sell players. I don’t know how many editions of this game was released for the SEGA, but the Amiga saw many!